When you are no longer our customer, we [may] continue to share your information as described in this notice. How? All financial companies need to share CUSTOMERS' personal information to run their everyday business. In the section below, we list the reasons financial companies can share their CUSTOMERS' personal information; the reasons Round Rock Nissan Commercial Vehicles chooses to share; and whether you can limit this sharing. share? Can you limit this sharing? If you are a new customer, we can begin sharing your information immediately (depending on the documents involved) from the date we sent this notice [or when you opt-in at our website]. When you are no longer our customer, we [may] continue to share your information as described in this notice. How does Round Rock Nissan Commercial Vehicles protect my personal information? To protect your personal information from unauthorized access and use, we use security measures that comply with federal law. These measures include computer safeguards and secured files and buildings. We provide ongoing training to our employees regarding our customers' personal information. How does Round Rock Nissan Commercial Vehicles collect my personal information?  We may also collect your information from other sources such as credit bureaus, affiliates and other companies. What happens when I limit sharing for an account I hold jointly with someone else? Your requested limitations will only apply to your part of the joint account. The other party will remain opt-in accordingly. No affiliates listed at this time. Nonaffiliates we share with may include manufacturers, banks, credit unions, marketing companies, insurance companies, aftermarket products companies, service contract companies, dealer services companies. 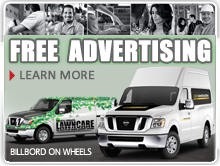 Our joint marketing partners may include financial institutions, manufacturers and vehicle distributors. Visit our website to view our STANDARD PRIVACY STATEMENT, which covers other topics including website server cookie tracking, age-limit usage term, electronic information errors, server and data security, The United State Congress 'CAN-SPAM Act' and much more. 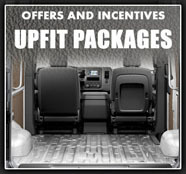 Round Rock Nissan Commercial Vehicles collects information from our users at several different points on our website. 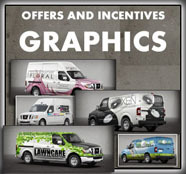 Round Rock Nissan Commercial Vehicles is the sole owner of the information collected on this site. We will not sell or rent this information to others. We will only share this information with our affiliates and marketing partners contracted to do business on our behalf as explained in our ''SAFE HARBOR'' Privacy Statement. 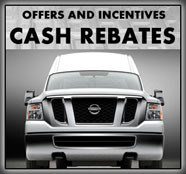 By submitting forms at our website, you agree to enter into a transactional relationship with Round Rock Nissan Commercial Vehicles in relation to the products and services provided by Round Rock Nissan Commercial Vehicles that you already use, may inquire about or may use in the future. Round Rock Nissan Commercial Vehicles uses two types of user information: anonymous information gathered from cookies and/or server log files, and personal information you provide us for certain products and/or services. See below for definitions of each of these methods. Round Rock Nissan Commercial Vehicles and its companies accept no responsibility for any errors and omissions within any information on our website and reserves the right to make corrections to information contained on our web site, including, but not limited to pricing errors, availability and vehicle data. All information contained within this website is technologically data driven and occasionally errors occur due to data interpretation through servers and code readers. We make every effort to safe guard against this and apologize for any errors. Our manufacturer periodically provide national and local campaign current offers. These offers may be presented at our website. Pricing may slightly vary (plus or minus) depending on market and campaign areas. Please always confirm current offers and prices with the Retailer, in this case, Round Rock Nissan Commercial Vehicles, if you are shopping at our website. A cookie is a piece of data stored on the user's hard drive containing information about the user. Usage of a cookie is in no way linked to personal information, until a user provides that information (see below). If a user rejects or deletes the cookie, he/she may still use our site. The only drawback to this is that the user will be limited in some areas of our site. For example, the user will not be able to receive notification of current offers, or participate in any contests that may take place. Cookies also enable us to track and aggregate clickstream behavior data. By doing this we can better target the interests of our users and enhance their experience on our site. Round Rock Nissan Commercial Vehicles uses web log and clickstream information to help us design our site, to identify popular site features and to make the site more useful for visitors. Web logs are recorded in sequential files, and we normally do not attempt to identify individuals from these logs. However, we may use web logs to identify persons attempting to break into, disrupt, or damage our Site. We may share web log information with law enforcement personnel if we believe evidence exists, or is likely to occur, of a violation of federal, state or local laws or regulations. Users may choose to volunteer personal information (name, e-mail address, phone number, etc.) in order for us to provide them with services such as brochure and information requests, surveys and contests, site announcements, and current offers at the time of the request or in the future. If you previously gave us your e-mail address and no longer wish to receive e-mail announcements, you can have your name removed from our e-mail list by sending an e-mail to aalsinjari@roundrocknissan.com, calling, or by sending regular mail (see contact information below). If a user's personal information changes, we will endeavor to provide a way to correct or update that user's personal data provided to us. This can be done by e-mailing aalsinjari@roundrocknissan.com or by contacting Round Rock Nissan Commercial Vehicles as outlined below. 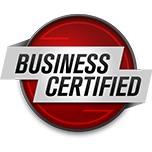 Round Rock Nissan Commercial Vehicles takes all reasonable precautions to protect our users' information, both while the information is being transmitted and after it is received by us. If this website is hosted on a Secure Server, when our credit pre-approval form asks users to enter sensitive information (such as social security number), that information is encrypted and is protected with SSL 128-bit encryption software, an industry standard for reputable organizations. While on a secure page, such as our credit pre-approval application form, the lock icon on the bottom of Web browsers such as Netscape Navigator and Microsoft Internet Explorer becomes locked, as opposed to unlocked, or open. Furthermore, once the information has been received by us, we use security procedures and policies that commensurate with industry standards to safeguard against loss, theft, unauthorized access, destruction, use, modification and disclosure. If you have any questions about the security of our website, you can send an e-mail to aalsinjari@roundrocknissan.com. 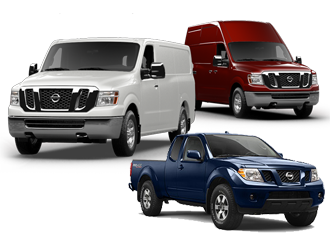 Round Rock Nissan Commercial Vehicles may disclose any data, whether personally identifiable or not, to any person performing audit, legal, operational or other similar services for Round Rock Nissan Commercial Vehicles. Whenever possible, we will require any recipient of personal information for these purposes to agree in writing to hold the information in confidence, to use the information only for the permitted purpose, and to return or destroy the information when the services are completed. We may also disclose any data, whether personally identifiable or not, when required to do so by subpoena, court order, or warrant. Whenever feasible, Round Rock Nissan Commercial Vehicles will notify the effected user by e-mail that such disclosure will or has occurred. We may also disclose any data, whether personally identifiable or not, when we reasonably deem it necessary to protect the safety of (i) an individual, (ii) the public, or (iii) the security and reliability of Round Rock Nissan Commercial Vehicles and/or this website. Round Rock Nissan Commercial Vehicles does not knowingly allow anyone under the age of 13 to participate in any services offered on our website which requires the submission of user information. If we learn that a user is under 13 and has submitted user information to us, we will delete that information as promptly as possible. In general, the law allows Round Rock Nissan Commercial Vehicles (sender) to contact you (recipient) via email with any Transactional or Relationship message to facilitate, complete, or confirm a commercial transaction that you have previously agreed to enter into with the Round Rock Nissan Commercial Vehicles (for example submitting the current form); to provide product warranty, recall, safety, or security information with respect to a commercial product or service used or purchased by you (from Round Rock Nissan Commercial Vehicles); to providing notification concerning a change in the terms or features of; notification of a change in your standing or status with respect to or at regular periodic intervals, account balance information or other type of account statement with respect to ongoing commercial relationship involving the ongoing purchase or use by you of products or services offered by Round Rock Nissan Commercial Vehicles; to provide information directly related to an employment relationship or related benefit plan in which the recipient is currently involved, participating, or enrolled; or to deliver goods or services, including product updates or upgrades, that the recipient is entitled to receive under the terms of a transaction that the recipient has previously agreed to enter into with Round Rock Nissan Commercial Vehicles. To reach us, you may use the email address stated elsewhere in this privacy statement or you can see our CONTACT page for our addresses, phone numbers, fax numbers, business hours and/or online contact form. I wanted to KoooDooo Share this cool website link with you. Let me know what you think: http://roundrocknissancommercialvehicles.com/about.privacy.php.